Visits are entirely at the discretion of the doctors and are only for patients who are truly unable to visit the surgery. Please only request a home visit if you are housebound or are too ill to visit the practice. Your GP will only visit you at home if they think that your medical condition requires it and will also decide how urgently a visit is needed. If a home visit is necessary please contact the surgery before 10am; this helps the doctors to plan their rounds efficiently. If at all possible try to attend the surgery as it is likely that you will be seen more quickly than the doctor visiting you at home. The receptionist will ask the reason for the visit. 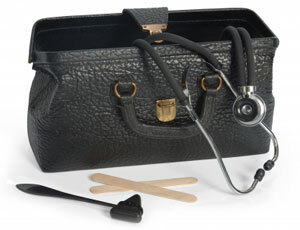 Please co-operate to assist the doctor planning their visits which take place after morning surgery. With home visits we are unable to appoint doctors on request, therefore this means any of our doctors may be appointed to visit.